The WaterJet Technology Association (WJTA), a leading global trade association, organizes the 2018 WJTA-IMCA Expo; it will be held on November 1-2 in New Orleans at the Ernest N. Morial Convention Center. The expo is a forum for industry communication and development, the goal of which is to improve safety, technology and trade by connecting contractors, asset owners, researchers, academicians, and suppliers. In the frame of the Expo, it will take place a Global Waterjetting Standards meeting, in conjunction with EWJI (European Water Jetting Institute) and WJTA, on November 1. This will be a follow-up to the meeting held at the IFAT in Munich last May. Since the last time, a committee has been formed and has worked to define the goals of the global standards initiative and further develop the technical hydro blasting fundamentals document. Representatives from all related industry sectors, including industrial, environmental and municipal water-blast cleaning and field services; industrial and municipal vacuuming; coating removal and surface preparation; concrete removal; hydro excavation; and related services, will attend. WJTA has seen increasing involvement in the association and expos from asset owners, particularly from the petrochemical and refining industry sectors, who are looking for ways to maximize safety and production in water-blasting and industrial vacuum applications. 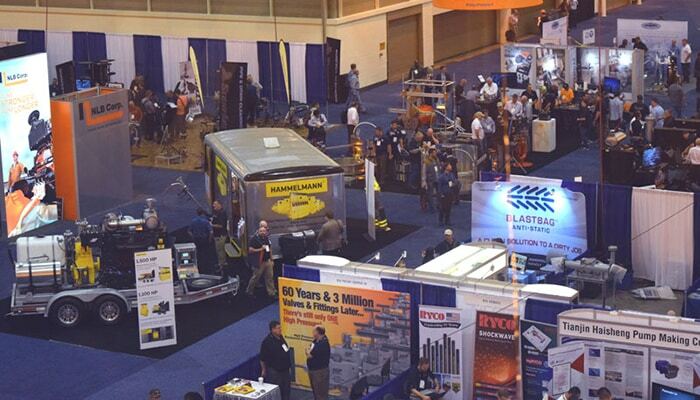 The expo draws a global audience to the Gulf Coast to network, see the latest equipment and industry trends, and gain valuable insights that benefit their businesses’ bottom lines. It has become a crucial event on the calendars of industry professionals to explore major industry trends, including automation and robotics; safety in manual and robotic industrial cleaning; regulatory and business trends; and technical innovations in waterjet applications. 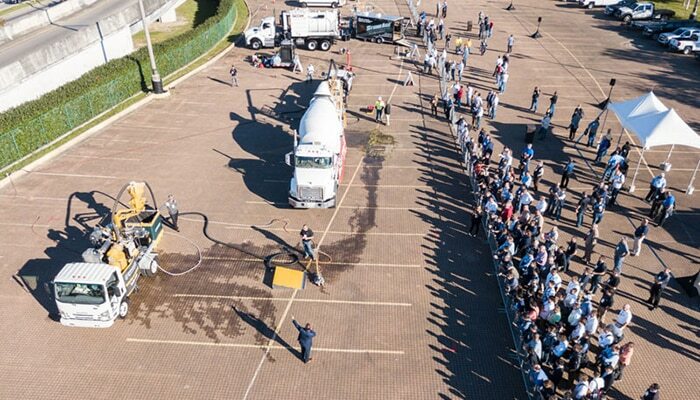 The live demos, a popular and unique part of the expo, will reflect the transition to hands-free water-blasting techniques, as well as advances in pump technology, safer and more ergonomic manual and semi-automated water jetting equipment and vacuum trucks and hydro excavators. The indoor exhibits feature a range of specialized equipment and services from manufacturers and contractors. Equipment, technologies, and services on display will include industrial cleaning and environmental services, manual and robotic water-blasting, vacuum trucks and air movers, advances in pump and control technology, hydro-demolition, tank cleaning, pigging and decoking, personal protective equipment, safety options and more. The WJTA-IMCA Expo’s educational boot camp program offers a set of expert-led, 30-minute sessions on a variety of water jetting and industrial vacuum topics. Boot camp sessions are timely and relevant, providing participants with insights to improve safety, outcomes, and the financial bottom line. The educational sessions are open to all expo registrants. WJTA will present an update during the boot camp on the new entry-level water-blast operator training and certification program. Based on WJTA’s safety guidelines, this standardized training for water-blasters, developed in partnership with the Houston Area Safety Council (HASC), includes computer-based training and instructor-led, hands-on training and verification to help ensure contractors can access a well-trained, safety-aware labor pool and asset owners can rely on qualified water-blasters in their facilities.